For the past twenty years, Anne has worked in the Asia Pacific region, designing, implementing and evaluating international development programs. Her work has focused on supporting partner countries to progress their development goals and reform agendas, while also providing policy and technical advice in early childhood and primary education, community and stakeholder engagement, and system performance monitoring. Anne’s professional interest is early childhood, and she has a long involvement in the early childhood care and education sector, as a practitioner, academic and researcher. Neil is a Paediatrician with clinical specialisation in developmental disability. He has held Executive Management positions in community child health services in South Australia (1983-98) and Queensland (1998-2013). He has retired from clinical practice, and now serves as a member of the Advisory Council of the Women’s and Children’s Health Network in SA. Neil has a Masters of Policy and Administration, and has held academic appointments at Universities in Adelaide and Brisbane. In his involvement with the Royal Australasian College of Physicians he contributed professional leadership and education at State, national and international levels. Neil’s major research contribution was in the Port Pirie Lead Cohort Study, examining the impact of environmental lead exposure on children’s health and development. His key professional interests include child health, population health, child development, and, service and policy evaluation. Sally is a paediatric epidemiologist with the majority of her research focusing on societies’ impact on child development. Sally is the Director of the Fraser Mustard Centre, an innovative initiative of the Telethon Kids Institute in partnership with the Department of Education and Child Development in South Australia, to enhance research translation into policy and practice. Sally is also an Associate Professor at the University of Western Australia and the University of Adelaide. Sally has over 100 publications covering topics such as child development, early education, child physical activity and nutrition, poverty, inequality, and teenage pregnancy prevention. Internationally, Sally consults to various Governments and has active research projects in Lower and Middle Income Countries (including Laos, Tonga, Tuvalu, Samoa, Indonesia, Kiribati and Peru) working with donor organisations (World Bank, UNESCO and UNICEF) to monitor and evaluate policy and programs to enhance child health and development. She has a commitment to practical, pragmatic and translatable research. With a Bachelor in Psychology and background working in a handful of SA’s child protection and development programs, Daniel has come to appreciate the dramatic need for reform in this space. Having seen some of SA’s worst, and help build some of SA’s most successful programs, he has experienced what it takes to achieve both. Daniel’s perception and assessment of risk facing organisations and communities in their pursuit of outcomes for children is informed by his Bachelor in Psychology and Graduate Diploma in Business Administration. Whilst Daniel can analyse statistics, evaluate system performance, interpret legislation, and manage difficult child behaviours, he will never forget the faces he has seen in child protection, or ever forget the stories heard by the Royal Commission. 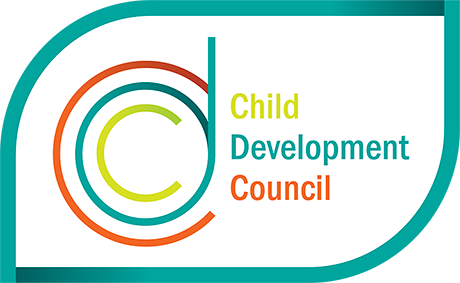 Daniel is looking forward to working with the Child Development Council and to seeing the Outcomes Framework prepared and maintained. Tony has extensive experience in working with children and young people affected by matters of youth justice, mental health and guardianship. Tony has successfully co-coordinated a team of clinicians and Aboriginal cultural consultants within the Journey Home program and secure care settings and the Journey to Respect program embedded within it that has successfully operated in country areas with good outcomes. Tony has supported and assisted with the development of the Respect Sista Girl 2 program which stemmed from the Journey to Respect program and assisted the Department for Correctional Services to write up the Journey to Respect program for men; known as: My Way, My Choice, which is now in publication. This has resulted in a suite of three programs conveying the same message to family members – a first in South Australia. Tony has been involved with the development of the New Forensic Model for Child Adolescent Mental Health Service and with policy development in the Office of the Guardian for Children and Young People, addressing systemic issues directly relating to Aboriginal children and young people. Tony has a passionate interest in music, has managed bands and sung the Australian National Anthem for many national sporting events in South Australia and at the MCG in Victoria. Tony has also sung the New Zealand and the West Indies National Anthems at similar events. Kelly is presently a member of the South Australian Civil and Administrative Appeals Tribunal. She is also undertaking a PhD in human rights and child protection law under an Australian Postgraduate Award at the University of South Australia. Prior to her appointment to the South Australian Civil and Administration Appeals Tribunal, Kelly sat on a number of boards in the child protection and welfare sector, including the South Australian Council for the Care of Children. Kelly has many years experience in commercial and civil litigation, and public health law. She has worked at some of the Nation's leading law firms, and prior to her admission she was associate to the then honourable Justice Bruce Lander. Kelly was a registered nurse before completing her law degree at Flinders University. She worked principally in emergency medicine, including paediatric emergency. Dr Barbara Spears is Associate Professor in Education, at the University of South Australia. She is recognised nationally and internationally for work on youth voice, cyber/bullying, sexting, mental health, wellbeing, and the role of technology in young people’s social relationships. With a particular interest in pre-service teacher education and the translation of research to policy and practice, she has led the following major projects: review of the National Safe Schools Framework (the overarching wellbeing policy framework for all Australian schools); A Public Health Approach to Sexting; and Youth Exposure to and Management of Cyber-Bullying Incidents in Australia; and the Safe and Well Online Study: Young and Well Co-operative Research Centre, a collaboration between end-users and industry partners. Vivienne has over 34 years experience related to the care and education of young children a managing a number of long day care services in Victoria and South Australia as well as part of the co-ordination team of a Family Day Care Scheme, TAFE lecturer and private consultant. Vivienne has a particular interest in positive psychology, increasing personal resilience and wellbeing and the role of positive interventions in the early years to support relationship based care in building strong attachments, resilience and healthy brain development for infants and toddlers in out of home care. Jo joined the National Disability Insurance Agency in January 2015 and is currently in the role of Senior Lead, National Implementation and Channel Strategies. Over the past three years she has been active in the development and implementation of the NDIS in positions of Branch Manager Communications, Regional Manager SA and far west NSW, and Director Engagement and Funding. Prior to this Jo worked for The Body Shop, personal care retailers in Australia and the UK and then took on the role of Manager with The Big Issue street paper, establishing it in South Australia and across other Australian states. Jo has also been involved in the community sector in senior positions with Anglicare SA, Oxfam Australia Trading and Time for Kids and in voluntary roles with Homelessness SA and Housing Legal Clinic; developing programs and services relating to homelessness, family crisis support, emergency relief, social justice, social enterprise, project start-up and alternative care plus media, marketing and communications. Annette brings to the Council 25 years experience in education with 15 being in Leadership positions across two educational systems. She is currently Principal at Lameroo Regional Community School; a Preschool to Year 12 school in the Southern Mallee District. Annette’s passion as a leader of education is in raising teacher quality which in turn leads to individual growth for our students. She is a strong advocate and voice for country education and is an active member of the Area Schools Leaders Association. Helen became South Australia’s inaugural Commissioner for Children and Young People in April 2017. Helen has extensive experience in executive leadership roles in a range of not-for-profit organisations. Immediately, before taking the role as Commissioner, Helen was the Executive Director of Australian Red Cross in South Australia and Chair of the South Australian Council of Social Service Inc (SACOSS). She is a long-time advocate for building respectful partnerships with Aboriginal and Torres Strait Islander people, communities and organisations and has established networks and relationships through her position as a Co-Chair of Reconciliation SA. Throughout her career, Ms Connolly has taken an active advocacy role on the main policy issues that impact on the well-being of Australian families and children, with a strong focus on early intervention and prevention strategies. Ann-Marie is currently Executive Director, Early Years and Child Development, Department for Education and Child Development. Her role involves working in the area of early childhood and support services to children and young people in the learning system in South Australia. In this area policies, programs and services are underpinned by the principle of proportionate universalism.